on the 23rd of August 2008. 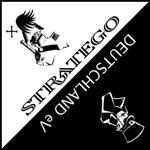 In total there will be 3 Stratego events. I will post further details in the next day or 2. Posted: 06.08.2008 19:18 Post subject: Update! The prices of the events will be ?8 per person per tournament. ?24 for all 3 Stratego tournaments. The price for Juniors will be the same price as the Seniors, but there will be awards for Juniors in all events. National teams.........(Great Britain will not be fielding a team.......but England/ Northern Ireland and possibly Scotland will. Maybe the Dutch will take up the challenge too? We have a confirm from an Austrailian, which is a first! Are there 2 World Championsships Barrage in 1 year? Because I already Competed to one. (Leto became World Champion). No, there is only 1 barrage WC and it takes place in 2 days time. I and everyone else knew nothing about this (so called barrage WC). I have just finished speaking with lightwing about this......and he knew nothing about it. Indeed nothing was advertised about this......unlike the usual Barrage WC that takes place every year at the Mind Sports Olympics. The real Barrage WC was advertised here in July. I saw nothing about another Barrage WC in Ukraine (even though I was in constant contact with Tim and Mark who were organising the WC). Obviously I think it would be safe to say that the organisers of the WC ......knew nothing about this impromptu event. The REAL Barrage WC takes place Saturday 23rd eveyone welcome. Also.......there will be a Junior Barrage WC with awards. I will try to post some pics next week. but what about your other Tournament in cambridge ? is it next year ? Yes, the "British Open" 2009 will be next year. It will be either the 2nd or 3rd of May 2009. I would be interested in coming to Munster, especially with cheap accommodation. I will hopefully talk to you next week about this. I have a few questions......but right now I must prepare for tomorrows tournament in London. for sure someone oganized a barrage wc in ukraine, but nothing is known. maybe dennis or tim can post some more information. also the team wc was played. on the other hand its not possible to play 2 isf wc`s : barrage and team. olympic team cup and olympic barrage cup. official wc`s or not. even if the decisions are a little strange. the world championships of barrage are organisized by roel eefting. I dont understand your message totally Stratego. Anyway I can posts the Winners of the WC Barrage in Kiev. As Ricardo said Roel Eefting organised it. If Im not mistaken 16 people entered the tourney. if we follow isf rules, it was an unofficial tourney. noone knows, and noone announce the barrage wc in kiev. in the end nothing more than a privat tourney. till ace played the next one. Well if you say so then you might be right. However the idea of organising it during a WC stratego is a good idea for the future I think. It will stimulate the amount of participans because (almost) all barrage players play at the WC. Anyway its a pity Ace won the ''WC'' without the other barrage legends. (Roel David & Dennis).